Our mission is to be the company that our clients call to deliver quality services each and every time they do business. Auzscot Constructions is a leader in civil construction, building, industrial and mining services based in Cloncurry Queensland, and operating on projects through the surrounding rural and remote areas including, but not limited to; Boulia, Julia Creek, Normanton, Mt Isa, Richmond, Hughenden, and Winton. We strive to continuously exceed client expectations, so that our staff can be proud of their work and we have the opportunity to turn short-term engagements into long-term projects - and eventually become a strategic partner on every job. We offer fabrication services, drainage services, mining infrastructure services and have tailored services for our clients. 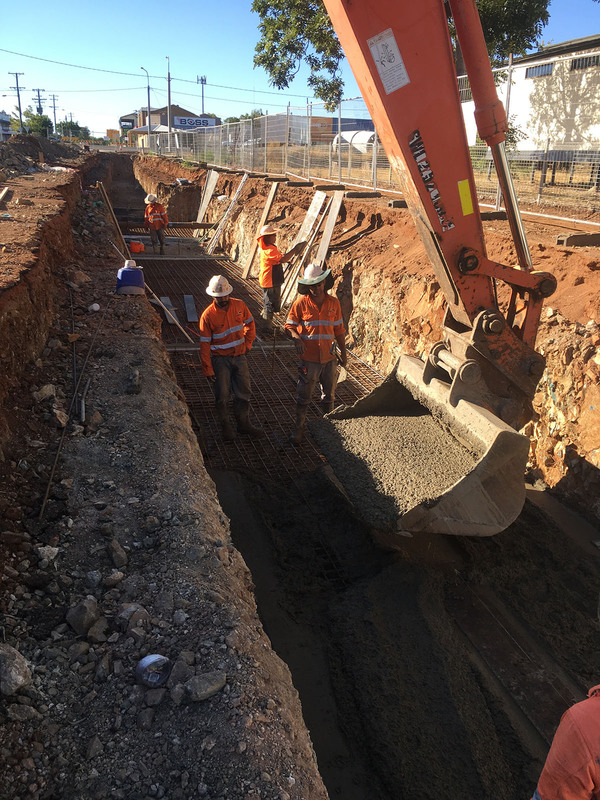 We have worked with councils, state and federal government agencies, corporations, and sub-contractors to deliver better standards and build better possibilities. Auzscot Constructions' executive management team is led by our Managing Director, Administration Manager and Civil Engineer/Project Manager. Together, our management team work to ensure that Auzscot's core values are visible in every job we undertake, improving customer service and demand. Building for the future, the management team have put in third party certified control systems, and have developed forward-looking business plans to ensure that Auzscot stays sustainable and can scale up and down to future demand. Our clients come first. We work hard to make sure they are satisfied with our work - we strengthen our clients to keep them competitive, our success depends on their success. Our jobs deliver measurable value for our customers. We want a long-term relationship with every client. We enhance our systems, processes and procedures to deliver exceptional solutions to our clients. 'You are what you do, not what you say you'll do'. We are committed to being honest and delivering on our promises to each and everyone of our stakeholders. Our people are the basis of our success. We want them to be proud to work for Auzscot, and be engaged and ready to take on the next challenge. We are open to new ideas and our company culture is defined by open diologue and mutual respect. We understand the need for employees to deliver to the highest standards, demonstrate team work and consider sustainability in their projects. We ensure that our team are working with health and safety, environmental management and quality assurance at the top of mind. 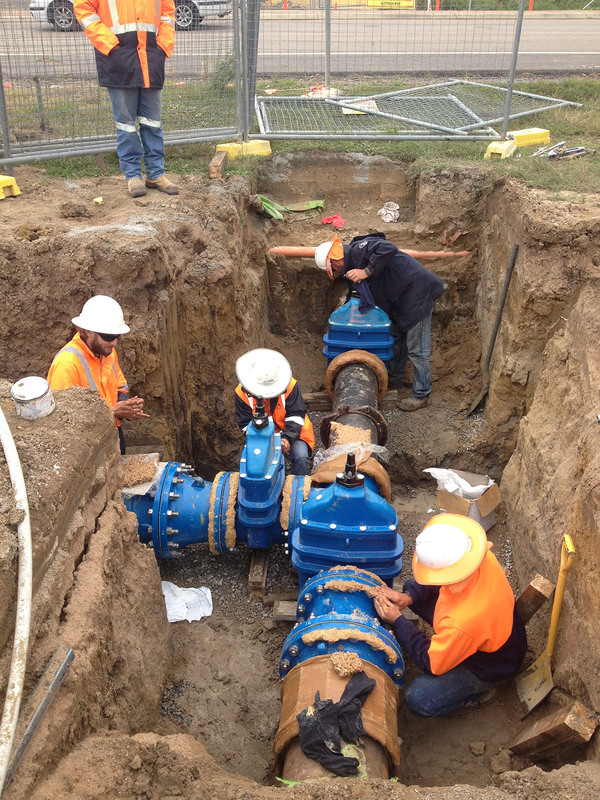 We have worked hard to build a team of onsite personnel that consists of foremen, supervisors, WHS officers, and skilled tradesman such as carpenters, pipe layers, concreters, bricklayers, steel fixers, operators, pipe welders and skilled labourers. Many of these staff already have experience working on a variety of job sites ranging from very remote areas where it is necessary to mobilise job specific campsites to larger jobs in built up areas with multiple stakeholders to consider. We have a diverse and skilled team, and we believe there is the right person for every job. Our commitment to our staff extends even further: Auzscot Constructions promote a learning culture and to implement this, Auzscot offer career advancement and training opportunities to staff such as apprenticeships, traineeships, university degrees, tickets, certificates, diplomas and more in support of our operations.